As yet, I have not seen any way to email things to The Brain. I suppose that could be a feature hidden somewhere in the new version. There are improvements in integration with gmail et al, google calendar, twitter, etc. So it’s possible. I will let you know if I find something. I did like that “mailto” feature of Evernote, though I quit using it when I decided some time back to drop it. 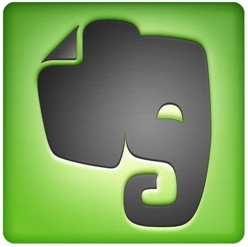 Every thing else you note pretty much mirrors my own disappointment with Evernote. I am somewhat sanguine about the whole “one ring to rule them all” ‘thing. I don’t expect to get that. But I do hope to rationalize the software wasteland I have now, and hopefully integrate the remaining tools more effectively. Thanks Terry, yeah I was a little bit shocked when I realized how far back it is I used Personal Brain as my main desktop. I am certainly not looking for the one ring to rule them all. My Gmail replacement is a combination of tools and techs, that together form a more versatile and robust process (in the sense that losing any one of them is not a big hurdle to fix). As well as places the data involved under my full control. For Evernote I suspect it will be similar: storage, linking, visualization, searching and writing may well turn out to be separate elements in a process. Smartness at the edges not at the core, as it should be with internet stuff. In that light I can’t really understand why most of that isn’t part and parcel of Finder / Windows Explorer tools, approaching your entire filesystem as a database, and providing viz / interaction tools on top of it, and allowing me to link from anything to anything within it. That way I could simply revert back to using Notepad. I get the single-point-of failure issue, but I find it hard to imagine finding a reasonable replacement for some of the more intelligent features of Evernote (search and handwriting recognition). The Brain (no longer PersonalBrain) is still alive. I’m using on my Mac and mostly have good experience. It still feels like a Windows application though. Some things don’t work as well in the Mac OS. You are likely to be right. Replacing the smart way EN deals with handwriting, scans and images of text will be very hard. But maybe it simply means it will be the only feature I will use EN for. Or other providers may step in with ML stuff too.